Final clarity on Mage tower tints – excellent. Still bummed that Druids can’t use their Legion forms while also wielding a 2H in Caster Form. 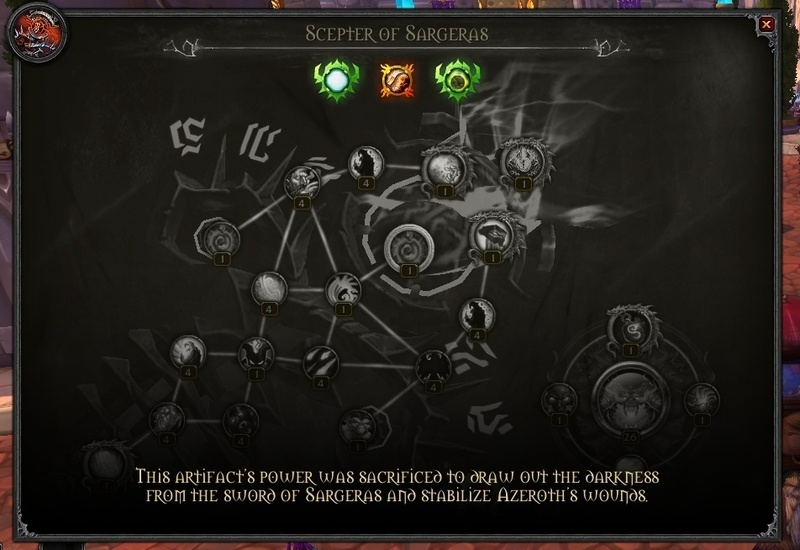 Can you transmogrify single weapons/offhands/shields to Artifact appearances, as in, are they listed alongside the other weapons, or can you only use Artifact appearances as a pair, via that new menu? Does the ability for alts to transmog into artifact weapons include cross-faction alts? For example, say I have completed the mage tower on a horde paladin; will my alliance paladin alt also be able to transmog the appearance without completing the challenge? What are you hinting at? The information, that the base appearance had to be obtained now and any tints could be done at any point in the future was out there for at least 6 months now. Still having to transmog to the garbage druid weapons when using their forms, lmao how can Blizz not do that right? Just as an FYI, currently on the beta you cannot transmog wands to any artifact appearance. Whether this is intentional because of the ‘shoot’ attack of wands, or a bug they haven’t fixed yet I’m not sure. But probably worth a mention anyway. Does anyone know if Hidden appearances will be removed in BfA? Maybe he’s been living under a rock for the last half year. They’re still obtainable, like other Skin except for the BASE-Magetower-Skin. Tbh it’s written there that you can transmog any type of weapons into artifacts. Any idea of what is happening to quests and things that require Power Ascended or “X number of traits unlocked”? These come up during the Legionfall/Broken Shore quests and I want to make sure I can still do them on my alts. Specifically I’m still working on unlocking all the class mounts as well as the bonus spec stuff that require Power Ascended like extra mount tints, toys, pets, etc. what happens to class mounts? will they now cost gold? will the raids will getting nerfed because all the traits will gone? it’s account wide so yep. As it is on the PTR right now, you can only transmog the main hand, and the offhand is locked to whatever appearance goes with that main hand. Very annoying. Is the mythic 15+ tint available in BFA then since it isnt mentioned here? Why is it spec specific? sigh… They act like the restriction is somehow to stop another player from using it but it just creates nonsensical restrictions. And how exactly will the transmog work it’s spec specific and I want to change my spec? I’m going to have to pay for 3 separated transmogs for each spec? WoW great! Or worse, I won’t be able to use anything but one appearance, which means I’ll have to either keep transmogging every time I change specs or simply accept that I’ll have to use the ugly original appearance. Freaking. Genius. Blizzard. Just wow. It’s like they literally don’t have basic thought processing capacity. Nope. Nothing except mage tower base appearance is removed. The raids will have to be rebalanced due to stat squish. We will have different (smaller) amount of hp and dps and everything will need to be rescaled for that. Why would they? They’re not tied to artifacts, but to class campaign. The quests aren’t going anywhere. They said it would, since +15 can be achieved with BfA. By the way, seems they’re sucking all the power from the artifacts. Hmm… Let me guess, it’s to force people to level up to max lvl and grind, else, each raid from Legion will be a nightmare to complete thanks to the “typical pre-patch changes that always come before every expansion”?